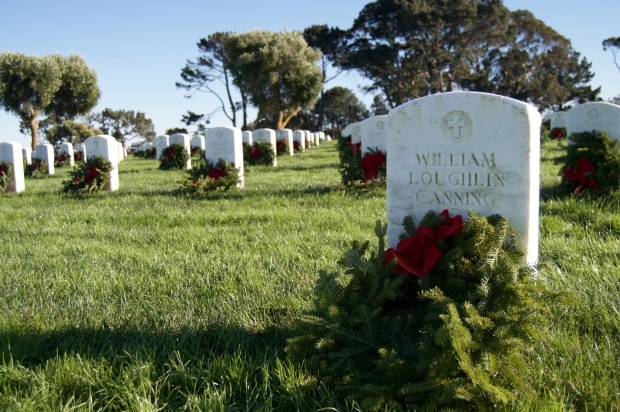 Volunteers made history Saturday while helping lay wreaths on thousands of graves at the Golden Gate National Cemetery following a moment of silence to mark National Wreaths Across America Day. The annual wreath-laying at more than 1,000 cemeteries around the nation is meant to remember veterans who have died as well as those who currently serve. When he and his wife, Leanne Graves, first began placing wreaths at the cemetery, they calculated it would take 82 years before getting enough wreaths for every grave, so Graves said he is thankful for the support. 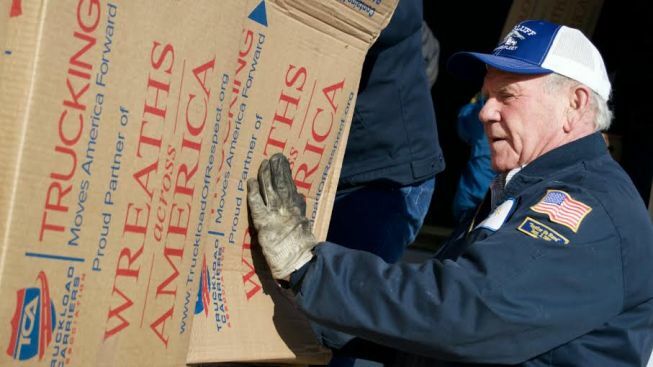 Volunteering and support for the annual observance has grown in recent years. "I'm expecting a big, big, big crowd," Carolyn Livengood, President of the Avenue of Flags Committee, said the evening before. After beginning with a short ceremony and somber moment of silence at 9 a.m., when Graves addressed the crowd, volunteers began laying the wreaths. Wreaths Across America was founded by Morrill Worcester, owner of the Worcester Wreath Company, who donated his surplus of wreaths at the end of the holiday season to the Arlington National Cemetery.